Nestled within the picturesque labyrinth of narrow streets and squares in the heart of the liveliest part of Venice where a myriad of shops and boutiques, market stalls, little restaurants and bacari (typical hostelries) liven up every angle, among all the three star hotels in Venice, Hotel Castello is located in an ideal position for experiencing the authentic Venetian atmospheres and for discovering the splendid areas such as Saint Mark's, which is just a 3 minute walk as well as Rialto, which is just 7 minutes on foot, rich with marvelous testimonies of art and history that contribute to making Venice one of the world's most unique cities. Upon exiting the hotel you will immediately find yourself in Saint Mark's square, which is framed by the Procuraties, a long series of porticoes that house boutiques selling typical craftwork made by Venice's artisans: jewellery shops selling gold jewellery and precious stones, Murano glass, Burano lace and historical cafés whose fame stretches well beyond Venetian confines. Caffè Ristorante Quadri, which opened in 1775 was often frequented by those from literary and artistic circles, among whom Sthendal, Lord Byron and Richard Wagner, it still retains the refined charm of the atmospheres of the Venice of the 1700's just like Caffè Florian, where amidst rooms and Rococò alcoves that have been preserved perfectly, characters such as Carlo Goldoni and Casanova, Goethe and Foscolo, Proust and D'Annunzio would often meet to sample the establishment's famous coffee and delicious hot chocolate. 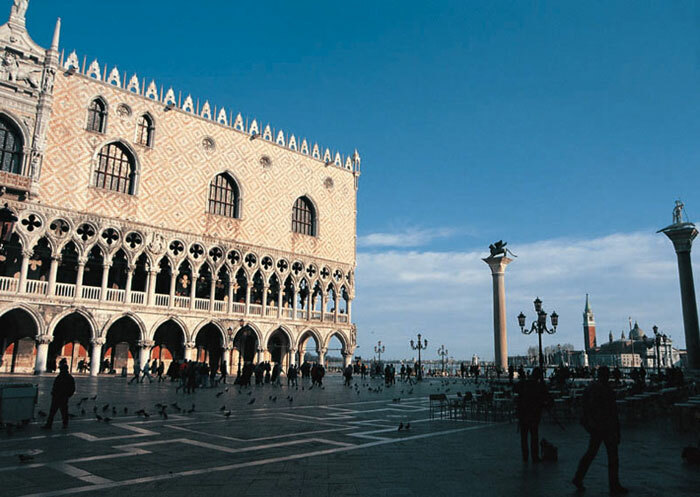 Saint Mark's Basilica, which radiates mosaics closes on one side and the extremely light gothic dimensions of the Ducal Palace open up on the other side of the square, as far as Saint Mark's Basin, an expanse of water of inestimable beauty. From here a walk along the Riva degli Schiavoni as far as the ancient Arsenale, which was the largest shipyard in the world for centuries (with over 16,000 employees!) 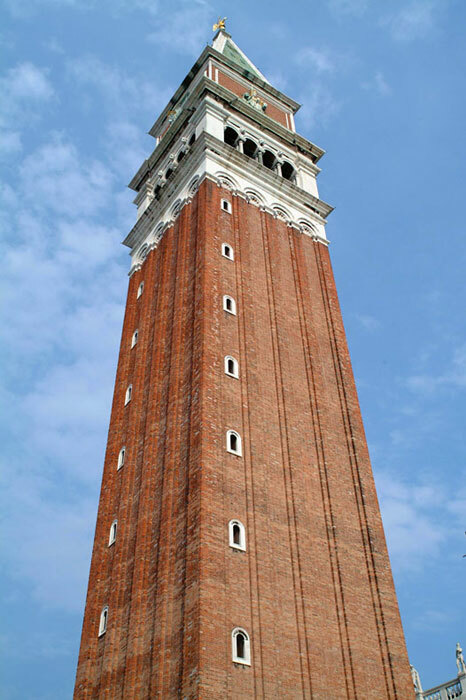 where the Republic of Venice used to build its fleet: it is a splendid sight. 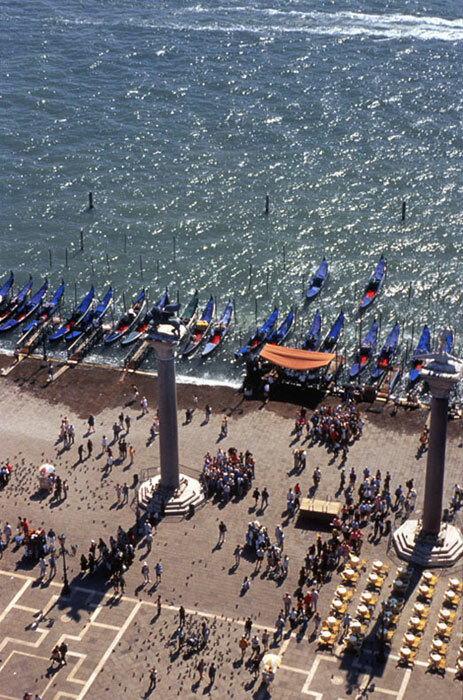 The view stretches over the part of the lagoon that goes from Saint Mark's to the islands of San Giorgio and Giudecca, where the outline of Palladio's churches can be seen, as far as the Lido, Venice's beach that separates the lagoon from the open sea, which was once brimming with the ships of the Serenissma, the Republic of Venice. 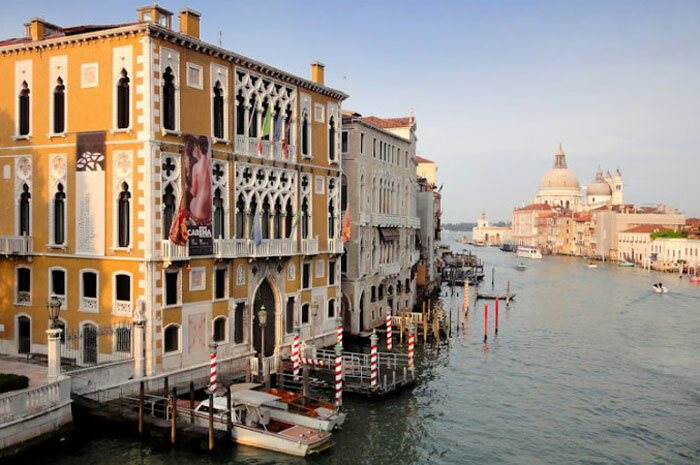 To get an idea of the marine power of the city, we recommend a visit to the Naval History Museum, which is the most important museum of its kind in Italy, located at the end of Riva degli Schiavoni. By motorboat (journey time 60/75 minutes approximately). From the wet dock of the air terminal take an Alilaguna motorboat (red, blue or gold lines - direct, San Marco Giardinetti stop) and get off, after approximately one hour - one hour and a quarter, at the San Zaccaria stop. From here, proceed on foot along Calle delle Rasse (in front of the stop) until you reach Campo SS. Filippo and Giacomo, where you will see the signpost for the hotel on the right. Bus + motorboat (journey time, approximately 65 minutes). Take the ATVO shuttle for Venezia Piazzale Roma. From here, take water bus no. 1 or no. 2 for Lido and get off at stop number 16: San Zaccaria. Proceed on foot along Calle delle Rasse (in front of the stop) until you reach Campo SS. Filippo and Giacomo, where you will see the signpost for the hotel on the right. Bus + motorboat (journey time approximately one hour and 50 minutes). Take an ATVO shuttle for Venezia Piazzale Roma. From here, take water bus no. 1 or no. 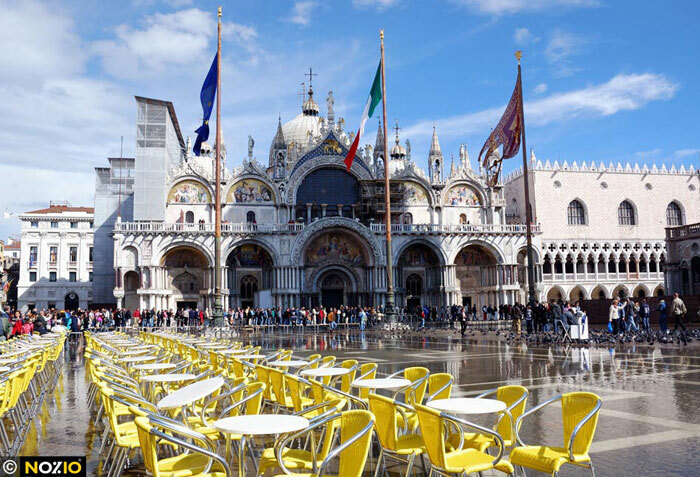 2 for Lido and get off at San Zaccaria: Proceed on foot along Calle delle Rasse (in front of the stop) until you reach Campo SS. Filippo and Giacomo, where you will see the signpost for the hotel on the right. 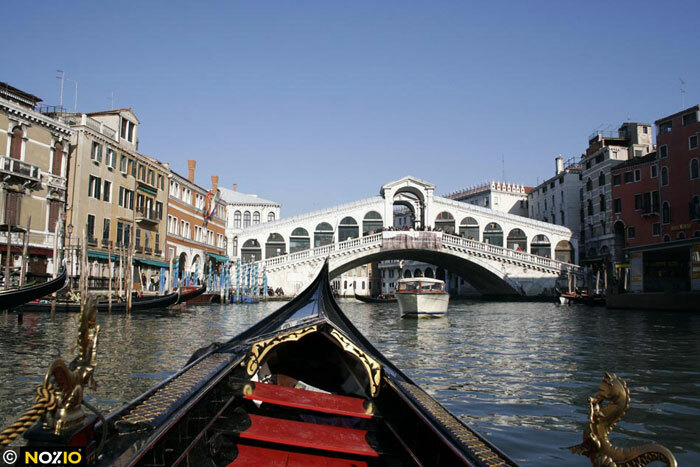 By train | From the fondamenta in front of Venice's "Santa Lucia" station take water bus no. 1 or 2 for Lido and get off at San Zaccaria. From here, proceed on foot along Calle delle Rasse (in front of the stop) until you reach Campo SS. Filippo and Giacomo, where you will see the signpost for the hotel on the right. 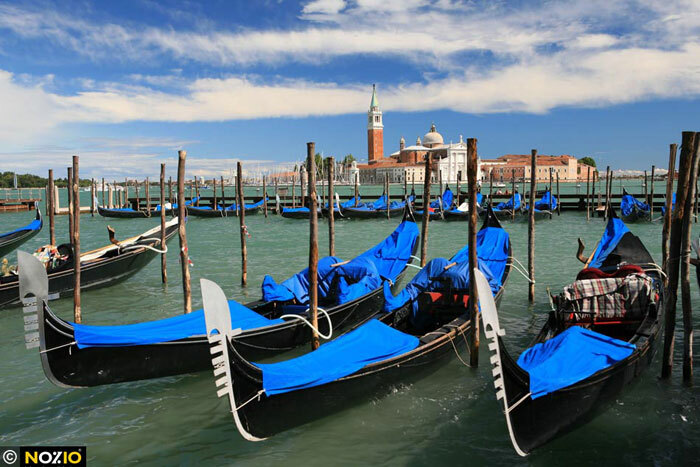 By car | The use of cars is prohibited within Venice's old town, car parks are located in Piazzale Roma (car terminal) and at Tronchetto. From the motorway follow the signposts for Venice, at the end of the long bridge that links the city to dry land turn right to park at Tronchetto (follow the signposts) or proceed straight ahead for Piazzale Roma. From both terminals take water bus no. 1 or 2 for Lido and get off at San Zaccaria, from here proceed on foot. Walk down Calle delle Rasse (in front of the stop) until you come to Campo Santi Filippo e Giacomo, on the right you will see the signpost for the hotel.